The first event on the annual watch calendar — the Salon International de la Haute Horlogerie — in Geneva is always a barometer for the performance of the Swiss luxury watch brands in the months to come. Here is a lowdown on the watches we loved the most at SIHH 2019. The first event on the annual watch calendar — the Salon International de la Haute Horlogerie — in Geneva is always a barometer for the performance of the Swiss luxury watch brands in the months to come. While the overall momentum within the industry is still slow, thanks to the unusual geopolitical and economic uncertainty world over, the mood at the exhibition was upbeat. Hoping to keep the cash registers ringing, most brands introduced affordable versions of their evergreen timepieces. Lots of colourful dials — blue, burgundy, salmon and green — in smaller sizes made their debut at the fair. If you are looking to buy a chronograph, this is the right time; there is a flurry of novelties with spiff chronos and beautiful tourbillons. Here is a lowdown on the watches we loved the most at SIHH 2019. 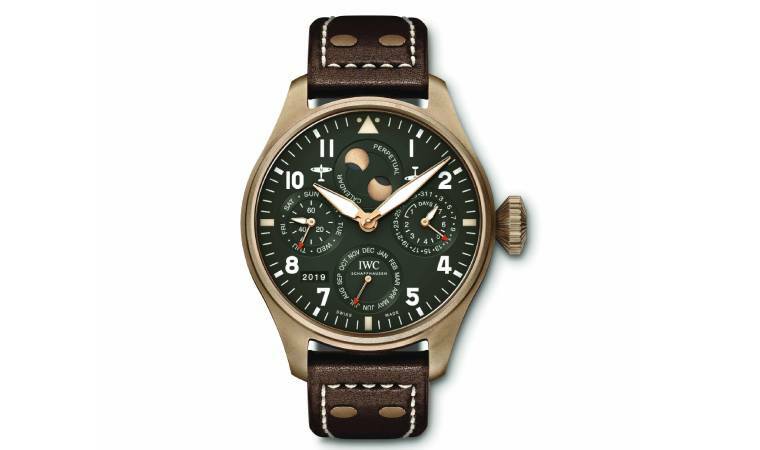 IWC pulled out all stops this year to launch one of its coolest collections in recent times. In company of top Hollywood stars and an actual Spitfire aircraft parked in its booth, the brand introduced a bevy of handsome watches in the Spitfire collection. The most alluring of these new watches is the perpetual calendar, which comes in a brass case with a green dial. The new limited edition Big Pilot's Perpetual Calendar houses Calibre 52615 with an impressive seven-day perpetual calendar movement that can be adjusted entirely by the crown, and maintains to-the-day accuracy for 577.5 years. Celebrating the spirit of adventure and exploration, Montblanc’s 1858 collection includes three models in bronze cases with khaki dials and khaki-coloured NATO-style straps. All are water-resistant to 100m and feature bronze-coated titanium casebacks engraved with a unique “Spirit of Mountain Exploration” design. Each one has been made in a limited run of 1,858 examples and the pieces are certified by the Montblanc Laboratory Test 500. The chronograph version comes in a 42mm bronze case and is powered by the automatic MB 25.11 movement. 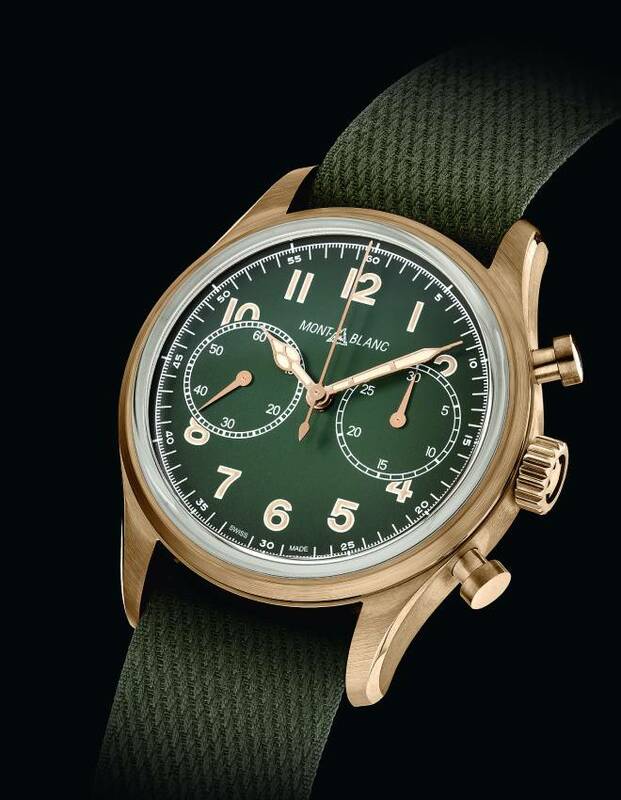 Its khaki-green dial is complemented by beige Arabic numerals. Though the brand refuses to call it a ‘salmon’ coloured dial, we were totally blown away by the brilliance of this solid pink gold face of the new Datograph. The watch made its debut in 2016 and the chic new version is limited to 100 pieces. One of the most complicated watches from the German brand, the Datograph Perpetual Tourbillon has an integrated Calibre L952.2 in which the tourbillon, the flyback chronograph, and the perpetual calendar have been harmoniously fitted together in the finished movement. The watch comes on a hand-stitched dark brown alligator leather and a deployant clasp in white gold. 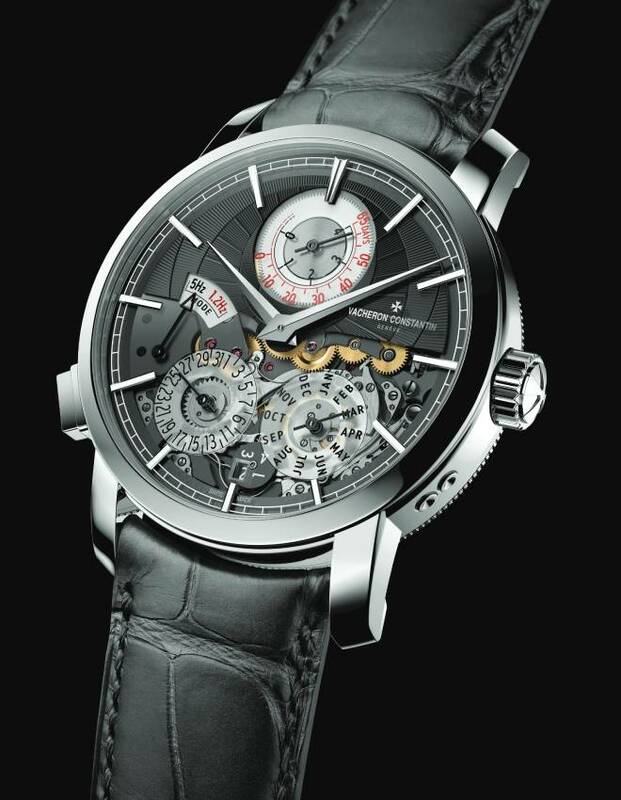 One of the most talked about watches at SIHH, the Twin Beat Perpetual Calendar is a technical feat with a patent-pending mechanism, which allows its user to switch the frequency of its movement from active mode, in which it beats at a speedy 36,000 vph (5 Hz), to standby mode, in which it drastically slows to an energy-conserving 8,640 vph (1.2 Hz). With all these complications in place, the watch is just 12.33mm thick and looks like a nice dress watch in solid platinum. While the new 11.59 watch made headlines for Audemars Piguet at SIHH this year, it wasn’t really appreciated for all the social media buzz the brand created around the launch. What we loved the most was the good old Royal Oak Offshore chrono with the camouflage pattern. The brand has three versions of the same — one in 18k pink gold with a brown dial and bezel, which uses brown ceramic for the first time and the other two —forest green and blue — in steel with matching camouflage straps. The case is the standard 44mm Offshore case, with the bezel, chronograph pushers and crown in ceramic coloured to match the dial. 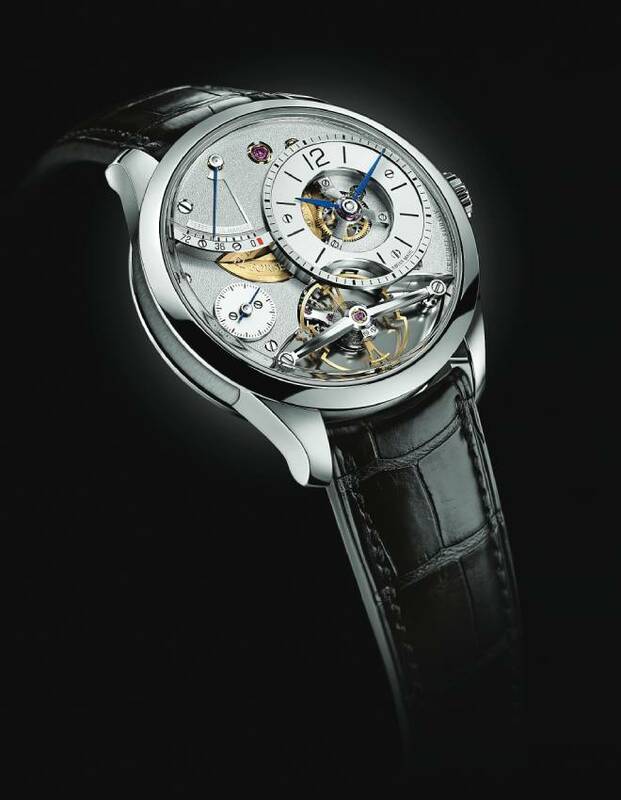 Touted as an ‘entry level’ watch from the super expensive Greubel Forsey, the Balancier Contemporain comes in a 39.6mm white gold case, which is much smaller than the usual 40mm dials from the brand. The hour and minute hands are located on an off-centred open-worked dial to give space for the display of the balance wheel and the frosted titanium plates underneath. The steel tripod supporting the hours and minutes hand is one of the most attractive features of the watch and its placement is such that is exposes the motion works underneath. Made out of white gold, the watch is limited to 33 pieces. For Panerai, this year is all about the Submersible collection, inspired by the early dive watches designed for the Italian Navy. The Marina Militaire Carbotech takes its cue from the 1965 "L'Egiziano", one of the earliest dive watches from the brand. 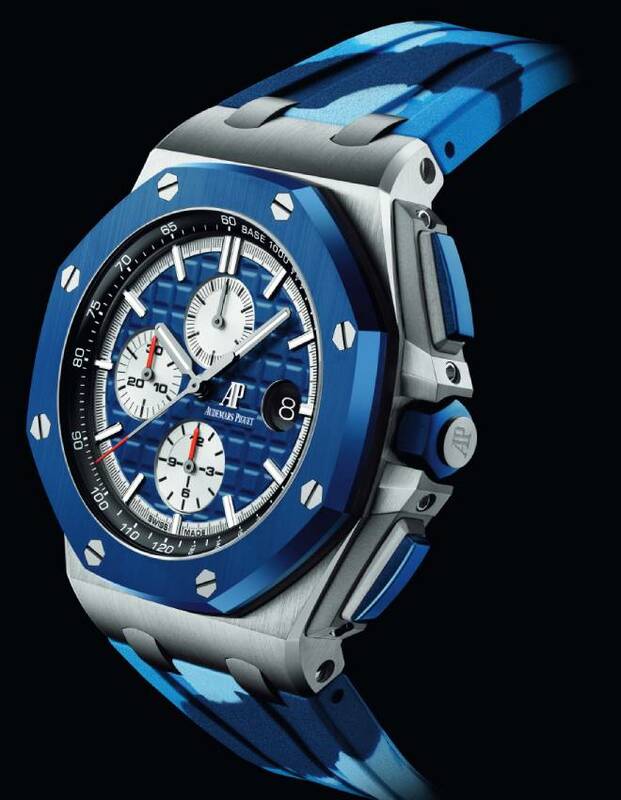 Made from the propriety Carbotech composite material, the watch is huge — at 47mm — but looks very cool on the wrist. Equipped with P.9010 automatic movement, it has a date display at three, a case back made from titanium, and comes with a matching rubber strap. 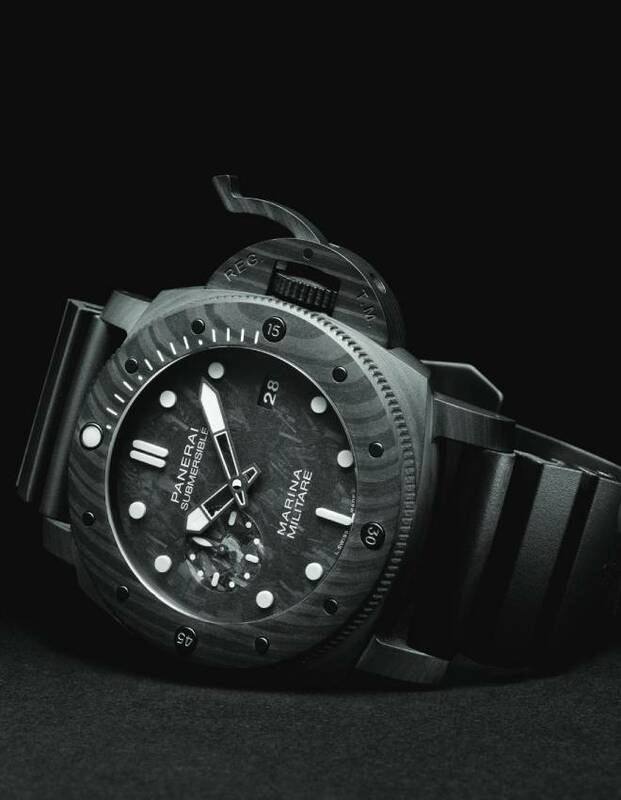 There is also a limited-edition version of the watch, which offers its buyer a multi-day experience with COMSUBIN, the elite diving unit within the Italian Navy. 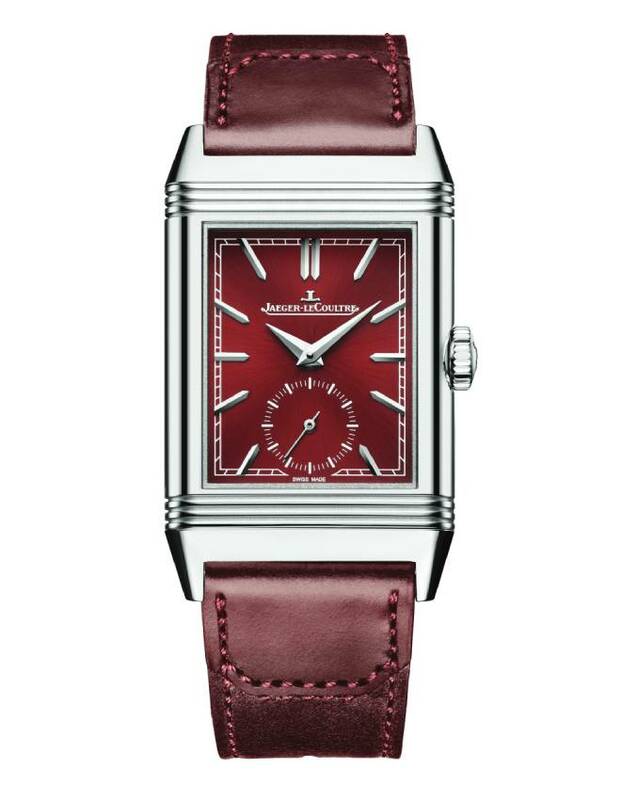 While the new Gyrotourbillon from Jaeger-LeCoultre was the showstopper at the watch fair in Geneva, we couldn’t take our eyes off the Reverso Tribute Small Seconds with a lovely wine coloured dial. Just 8.55mm thick, this stainless steel beauty is equipped with Calibre 822/2 that provides a power reserve of 45 hours. What makes this watch even more attractive is the special Casa Fagliano strap in bordeaux colour. Another affordable version of an iconic watch, the new Freak X is around one-fifth the price of the Freak Vision launched last year. While the watch retains the most laudable features of the Freak Vision — a lightweight, balance wheel in silicon with nickel flyweights and stabilising micro-blades — the watch is available in several versions, including Carbonium, which is used in the aeronautical industry. 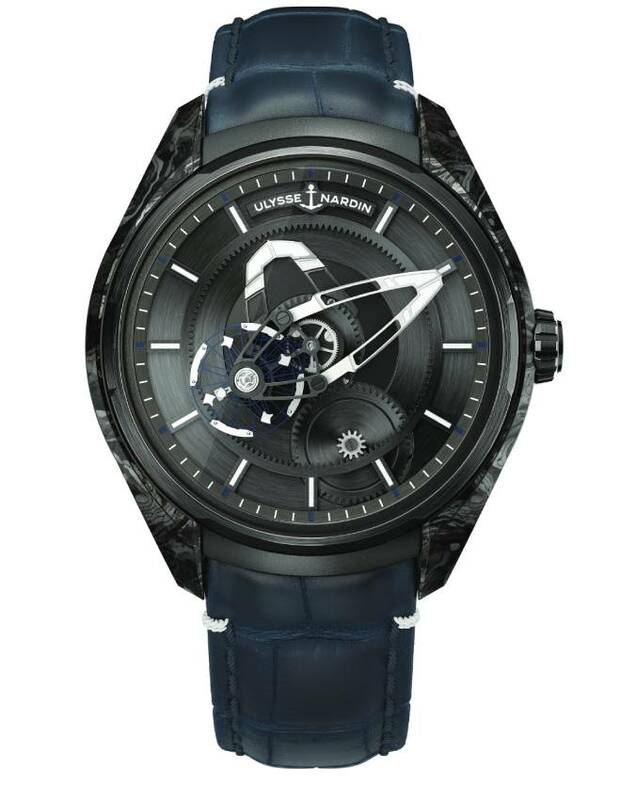 The watch is equipped with a new movement, the UN-230, which is a fusion of the UN-118 and the UN-250. The minutes are indicated by the central bridge itself, and the shorter hour is anchored to a wheel in the centre of the dial. 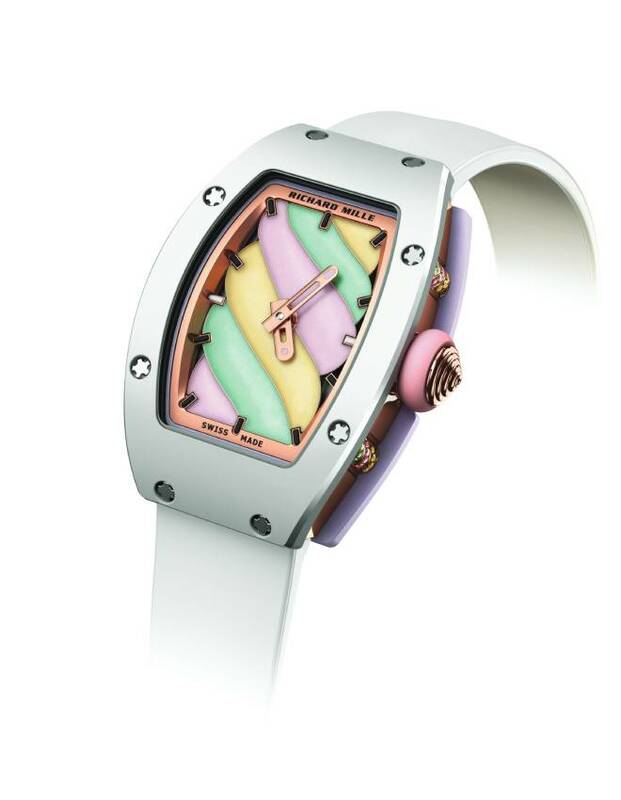 The new Bonbon collection from Richard Mille includes the Sweets and the Fruits — 10 watches in cute candy colours. There are watches in the rectangular RM 16 family (which are being presented as unisex), as well as the ladies'-sized RM 07 and RM 37. Our favourite amongst these was the RM 07-3 automati c Marshmallow. The watch in lavender pink is made of TZP ceramic and white ATZ ceramic with the calibre CRMA2 skeletonised automatic in-house movement. The dial is made in grade-5 titanium and 5N red gold with hand-enamel work that depicts a swirl of marshmallows.